Home / Featured / WE ARE OPEN! The food bank, in turn, held its final distribution at its longtime 150 Congress Ave. location July 19. It closed for two weeks until the scheduled Middle Street reopening of both its soup kitchen and food pantry on Thursday. The soup kitchen is open Tuesdays and Thursdays from noon-1 p.m. The food pantry’s doors are open to its clients the same two days, 5-7 p.m. 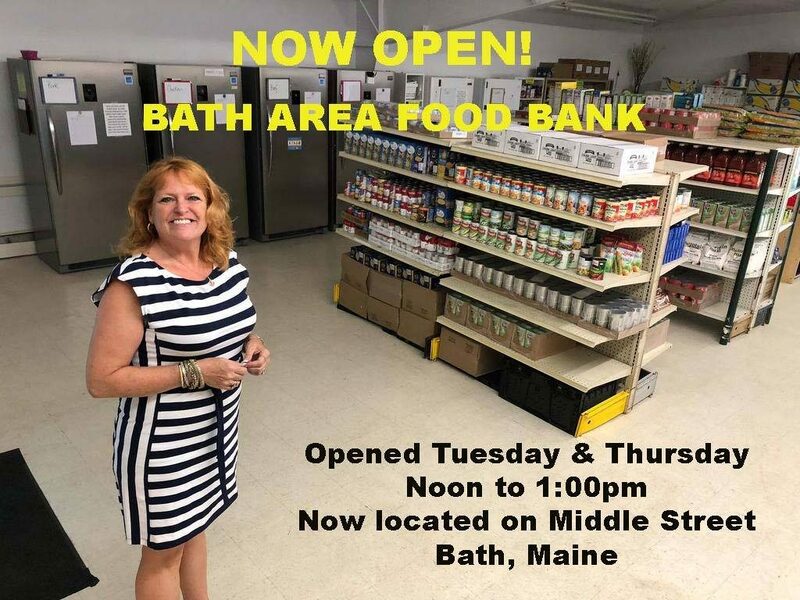 The pantry will also now be available to students and caseworkers at separate hours Tuesdays and Thursdays, 2-4 p.m., Executive Director Kimberly Gates said Wednesday. Moving took place July 23, aided by volunteers including Bisson Moving & Storage, which provided its services for free. Fresh paint adorns the exterior and interior. “We had to do a lot of electrical work … we’ve had to do a great deal of plumbing, (and) built walls,” Gates said. Remodeling “cost a lot more than we thought it would, walking through the door, to get it up to code,” she said, declining to say how much was spent. The food bank, which paid $225,000 for the Knights building, spent a dozen years saving for the down payment, and had to take out a mortgage for the rest, Gates said last month. One side of the building houses the pantry, and the other will be used for storage. The soup kitchen will operate out of a rear dining room. The feeling of the food bank finally having a headquarters it owns was “actually a little surreal right now” because it had been desired for so long, Gates said.